The JSA are thrown back in time to a less enlightened America of 1951 where they learn that their predecessors faced evils more insidious than super villains, while in the present, Spectre metes out brutal justice. Don't miss a new collection featuring JSA #68-75 plus pages from 66-67! The Spectre, without a human host, is running rampant, meting out a brutal form of justice encouraged by the new Eclipso! 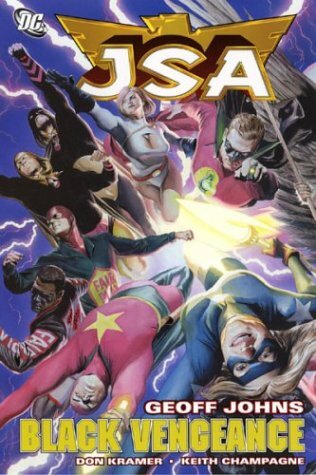 Plus, Atom Smasher seeks forgiveness, Degaton's plan to destroy the JSA is thwarted, and more!